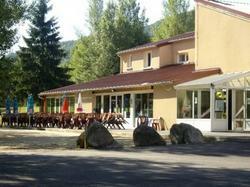 Located in the Auvergne region, Le Moulin De Savin offers an on-site restaurant and rooms with free Wi-Fi access. It is set on the edge of a small lake, where you can enjoy swimming, and next the R L Stevenson hiking trail. Each room includes a flat-screen TV, a telephone and a private bathroom with a shower, hairdryer and free toiletries. A continental breakfast is served daily, and you can enjoy traditional cuisine at the restaurant, as well as evening entertainment on certain nights. Le Moulin De Savin provides free private parking on site. You can visit Saint-Chaffre Abbey, just 600 metres away and Les Estables ski resort is at 15 km. Each room includes free Wi-Fi access, a flat-screen TV, a telephone and a private bathroom with a shower, hairdryer and free toiletries.